Ledden Palimeno Landscape Company. 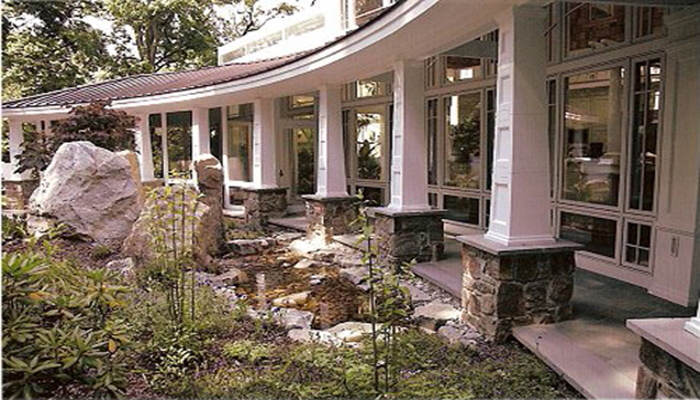 RECEIVES NATIONAL LANDSCAPE AWARD OF EXCELLENCE for local Collingswood, NJ project. Sewell, NJ. 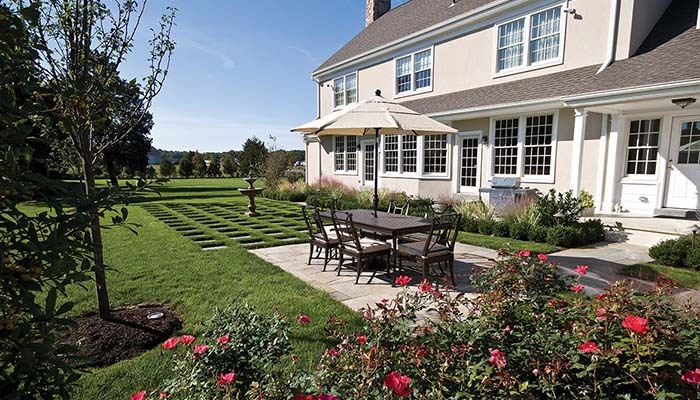 - The National Association of Landscape Professionals (NALP) announced that Sewell - based Ledden Palimeno, Inc. has been awarded the prestigious Grand Award for their exemplary work on the Susan and Bruce Fad property located at 430 West Collings Avenue Collingswood, NJ. 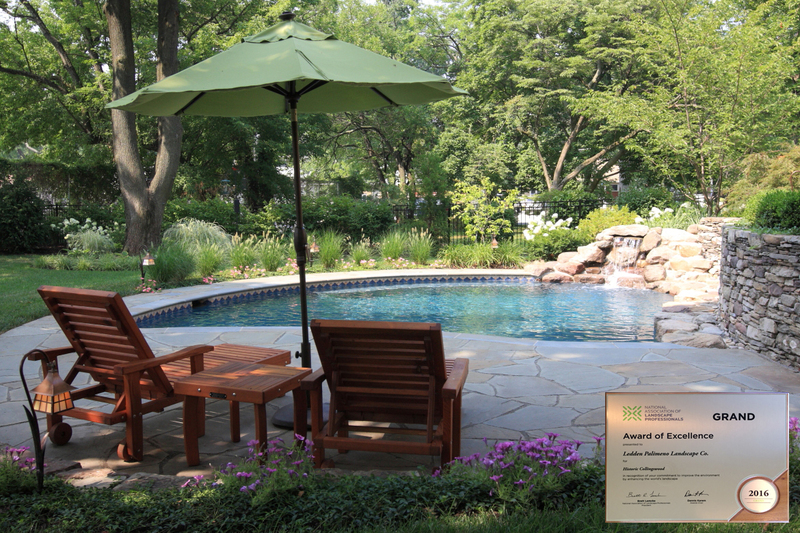 The award was presented at the 47th annual National Landscape Awards of Excellence ceremony. 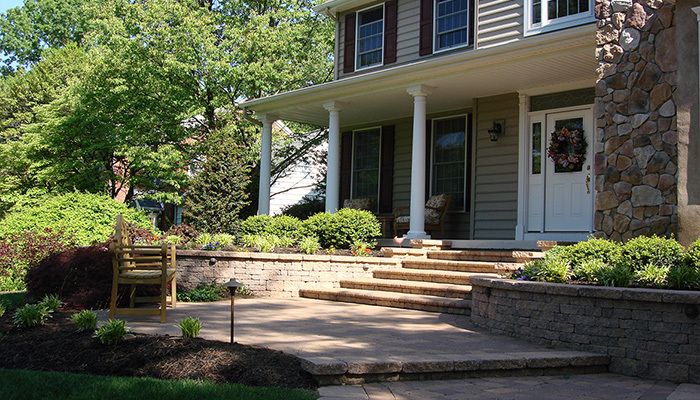 This is the premier national awards program in the landscape industry and the awards ceremony is part of NALP’s Green Industry Conference in Louisville, KY. The Grand Award is the program’s top category. 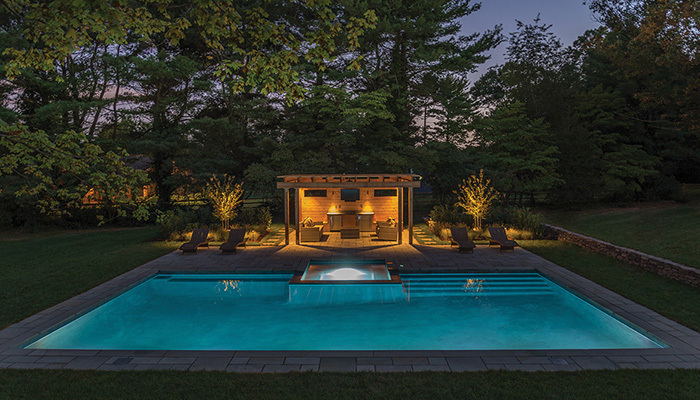 NALP’s awards program recognizes interiorscape, landscape, and lawn care professionals who design and create superior projects, and reflects the association’s commitment to supporting members in the creation and preservation of great landscapes. The house sits in the Collingswood Residential Historic District and was originally the Judge John B Kates Residence, built in 1911. A Craftsman Foursquare home designed by Architect Joshua C Jefferies, most noted as the lead architect for the Victor Talking Machines Company in Camden. Susan and Bruce have lived there since 2007 and have meticulously restored it to its original charm. 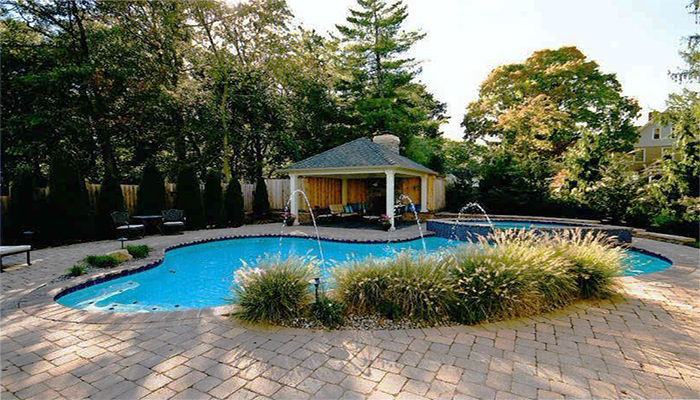 The landscape project and design was driven by a desire to fully utilize the previously very sloped backyard, and a request to have a small lagoon style swimming pool with natural stone coping and waterfall. 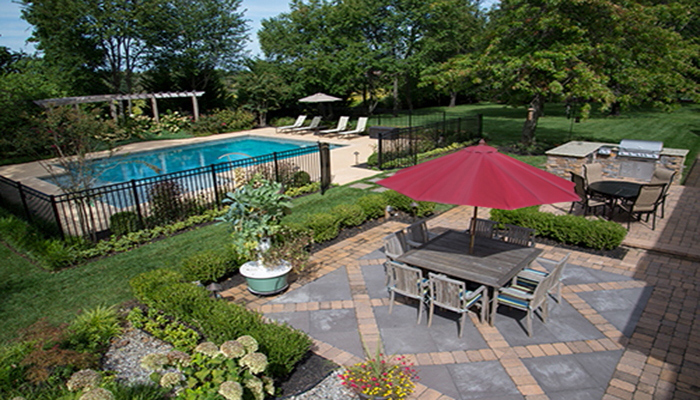 The pool is surrounded by irregular Pennsylvania Bluestone decking and the yard is terraced with Pennsylvania fieldstone walls. 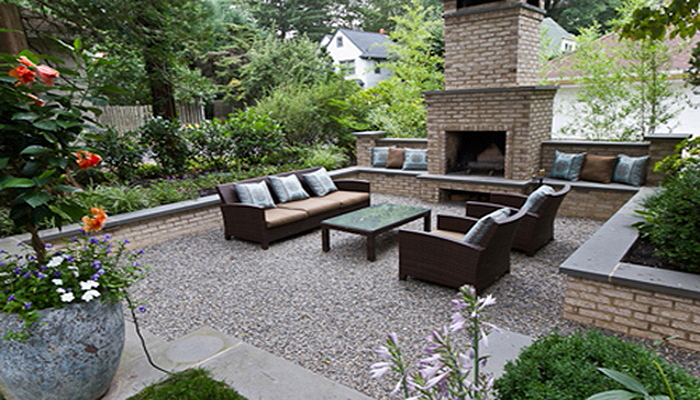 The upper terrace has a redwood dining table and Fire pit area surrounded by Adirondack chairs. 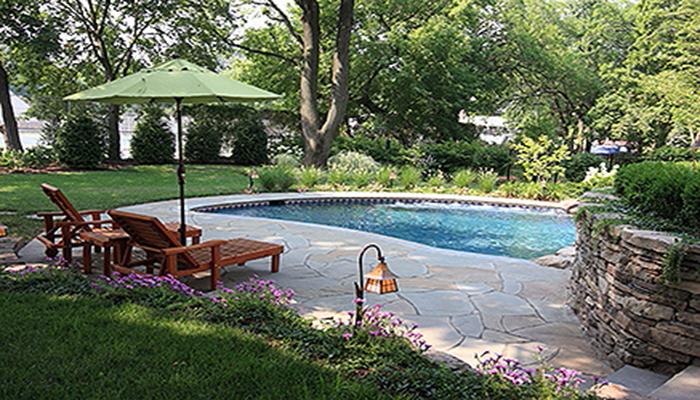 Natural stone steps lead to the lower patio and pool that blends seamlessly into the garden. 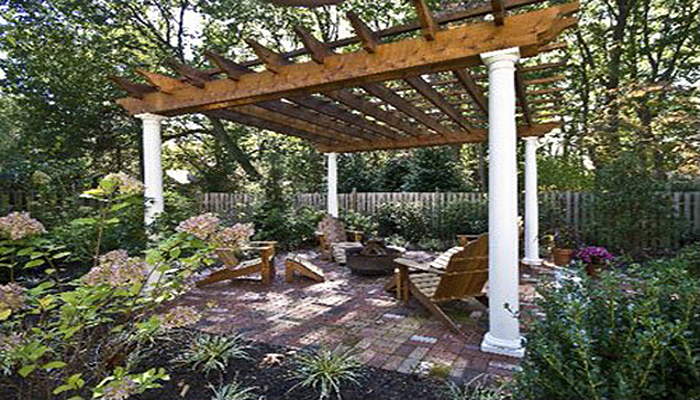 Large mature trees create a canopy that provides the perfect amount of dappled shade. 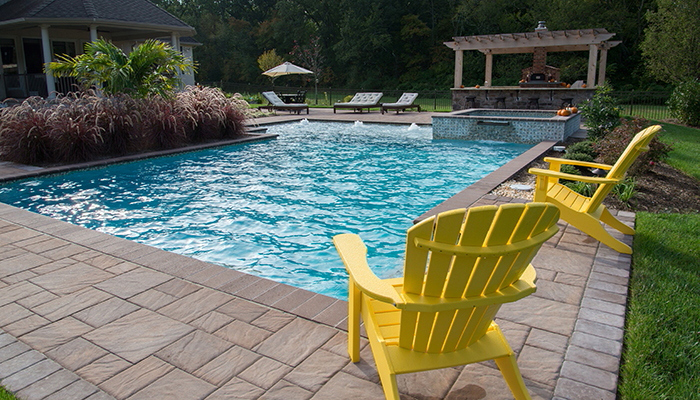 Ledden Palimeno Landscape Company, Sewell, New Jersey. 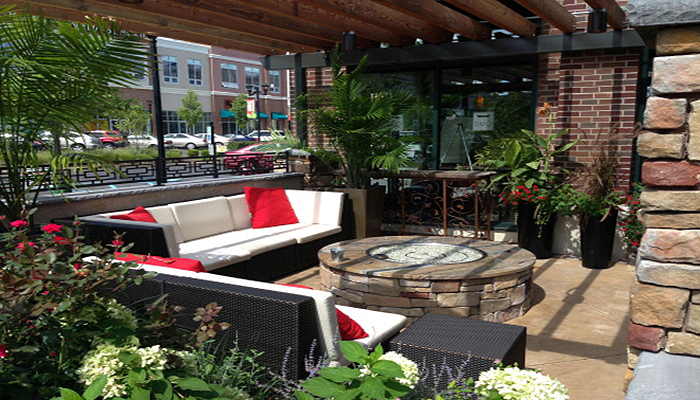 An award winning Design-Build firm specializing in fine outdoor living, landscape architecture, living exhibits and events. 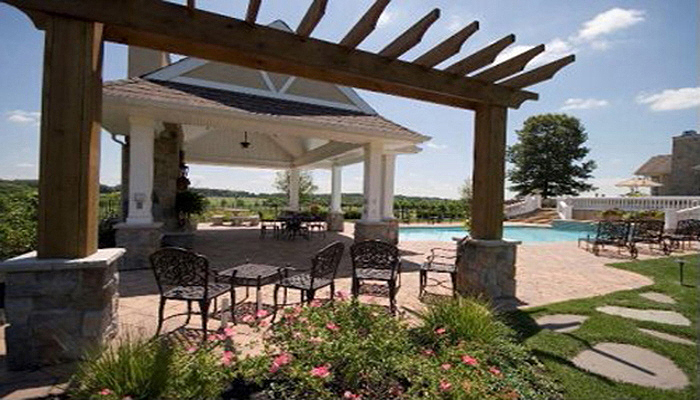 Our passion is to create functional and usable outdoor living spaces that capture the desires and tastes of the client and blend them seamlessly into the surrounding environment and architecture of the house and property. 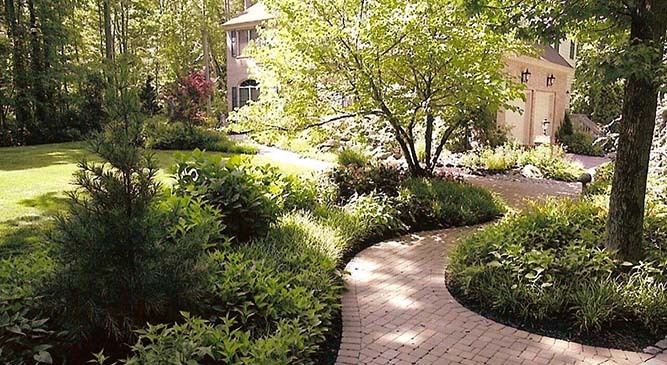 The National Association of Landscape Professionals (formerly PLANET) represents an industry of nearly 1 million landscape, lawn care, irrigation and tree care experts who create and maintain green spaces for the benefit of society and the environment. The association works with law makers and the public to protect and grow the industry and offers education, networking, training and certification programs that increase the professionalism in the industry and inspire its members to excellence. For more information visit www.landscapeprofessionals.org. It was a pleasure working with you from design through construction. 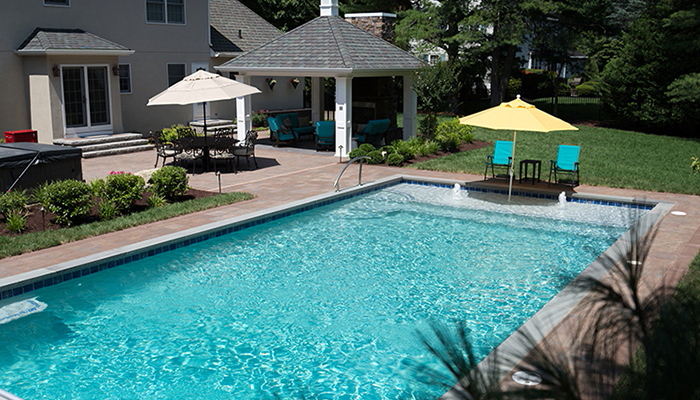 Your vision and attention to detail made it possible to blend this backyard resort seamlessly with the architecture of our house. 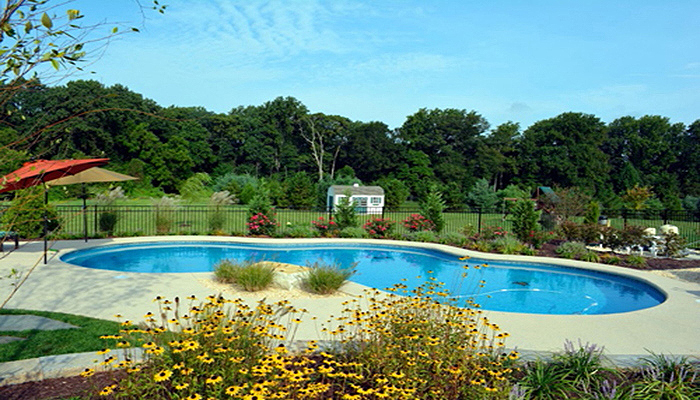 The mature trees were a challenge, but you somehow nestled the pool in very nicely and created a beautiful garden setting. 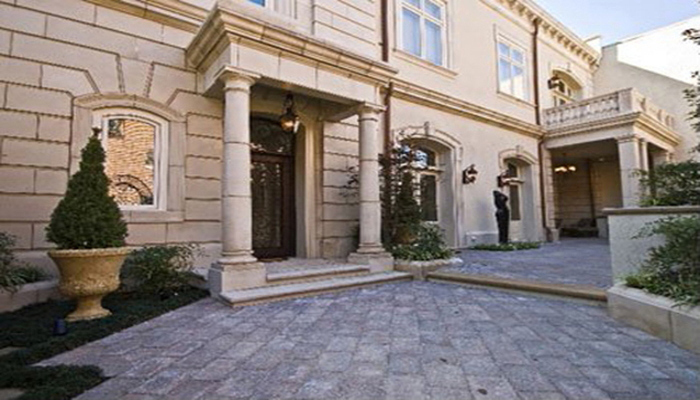 Your crew was professional, courteous and always happy to answer questions. This was a special experience for us. 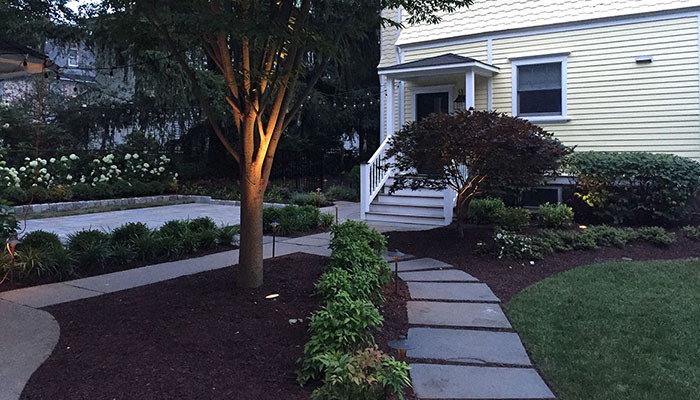 “Congratulations Susan and Bruce Fad of West Collings Ave. You have won the National Association of Landscape Professional’s (NALP) prestigious “Grand Award of Excellence”!!! 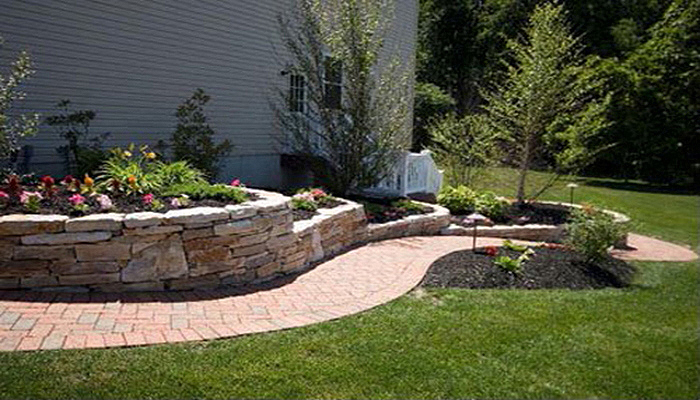 You have won this award through the work of Ledden Palimeno Landscape of Sewell, NJ. 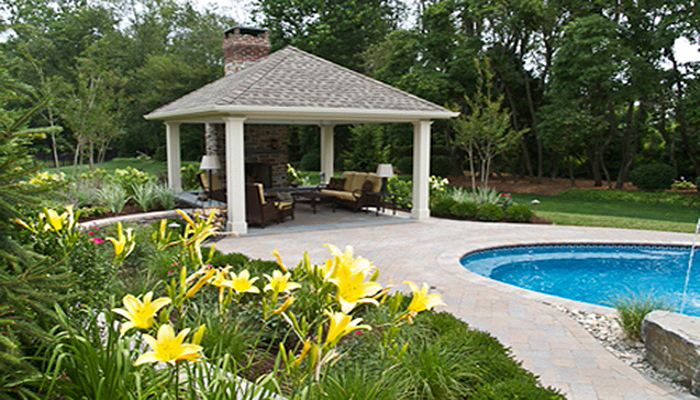 for your backyard transformation into a beautiful living space with custom swimming pool, rock walls, and terrace. See More Beautiful Landscapes Below!